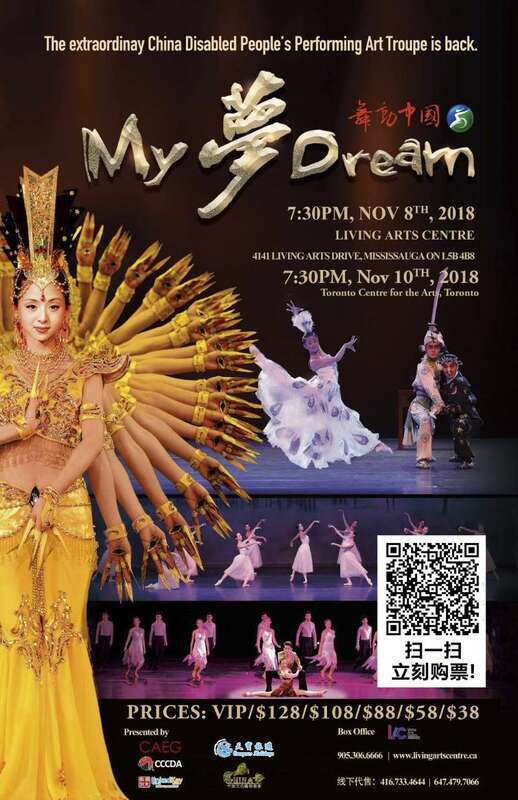 On November 8th, 2018, the extraordinary China Disabled People’s Performing Art Troupe will be performing at the Living Arts Centre in Mississauga. The China Disabled People’s Performing Art Troupe features a cast of some 52 professional artists -- all with extraordinary skills in singing, dancing, music, and acrobatics. Every member of the cast is handicapped. Some have hearing disabilities, some can’t see, and some have mobility issues. These amazing human beings have come together as a team, and chose to express themselves in the form of art. They’ve had multiple tours all around the world, and everywhere they go, people are left in awe of the brilliance of their performance. Last year, The China Disabled People’s Performing Art Troupe had be invited by the United Nations to perform dance 'Thousand hand Bodhisattva' which is the most famous dance in the world at Palais des Nations in Geneva. Visit the Living Arts Centre site to get your tickets.